Cuticles or 'eponychia' refer to the small folds of skin, which usually appears thickened, at the base of the nails. Cuticles are so designed to protect the area between the skin and the nail from any possible infection. While some hardly notice their cuticles, those with dry skin commonly suffer from small tears in the cuticles known as hangnails. Infection can result if the cuticle is damaged. When the cuticles in the nail become dry, deprived of moisture, they begin to peel. When cuticles are damaged, they become susceptible to infection, both fungal and bacterial, which manifest as peeling of the cuticle. A peeling cuticle can be treated with a moisturizer or cream if it does not exhibit any swelling, redness or pain. Fungal creams applied to the cuticle area for five to seven days can also help. In some cases, infection of the cuticles can be quite serious, particularly if the patient has diabetes or any other underlying immune problem. Probably the best way to prevent cuticle peeling is to avoid cutting cuticles with scissors. It is essential to use sterilized instruments. Instead use a clean orange stick to gently push back the cuticles. Moisturizing with cuticle cream is the next step. Whenever hands are exposed to water, apply a rich hand cream and use a pair of gloves to protect your hands. Hot water has a tendency to dry the cuticles and cause irritation and worsen the problem. Thus, with some preventive care, peeling cuticles can be a thing of the past. Give your hands a soak in warm water or have a long bath. Gently push back the cuticles. Warm up a bowl of 1/3 cup hand cream, a few drops of olive oil and 3-4 drops of lavender oil to a temperature that is warm but not too hot to touch. This oil is extremely good on hands and feet and will keep cuticles soft. Make sure to rub this cream into the nail bed. Wear gloves or soaks during bed time; thereby allowing the cream to soak into the skin. Infection of the cuticles is called 'paronychia'. It is often caused by excessive manicuring, biting or tearing the cuticles. Frequent exposure of hands to hard water and detergent and stress in handling paper work can also lead to dry cuticles and the infection that follows. For cuticle infection, bacteria or fungal, antibiotics are prescribed. Causes of cuticle infection could be nail biting habit. Bacteria, fungus and yeast can contribute to an infected cuticle. It is essential to check the equipment used during manicure, as they need to be sterilized. Carry your own manicure tools to the salon. Cuticles should never be cut. Instead push them back carefully as this would prevent injuring the cuticles. Infected cuticles could be very painful most of the times. Avoid touching chemicals or bleaching agents with bare hands. If you notice any redness, swelling or pus formation, wash hands well and dry them completely. Avoid laundry washing and household cleaning as it can aggravate the infection. Refrain from biting the infected nail, as the blister may be tender and might increase the pain. Pick up an antibiotic cream if the condition is acute and also start on antibiotics in case of chronic infection. An antifungal cream may also be applied on and around the infected finger nail. Various anti microbial nail solutions are available to fight germs and bacteria. Cuticle infection is a serious issue and it can become worse if not treated on time. There are certain home remedies available for treating the cuticle infection. Soaking the entire finger nail in warm water and Epsom salt for 10 minutes twice a day	can help. White vinegar is also known to possess certain antibacterial properties and it is good to treat an infected cuticle. Equal amounts of vinegar and water should be mixed. Soak your fingers in the solution for about 10 minutes. Stay aware from manicure until the nails are healed completely. Ensuring proper cuticle care is an essential part of personal maintenance. Cuticle cutters help the nail beds remain healthy and clean and look good. Cuticles must be moist: Before using the cuticle cutter, ensure that the cuticles are softened. Some use cuticle remover to soften the skin. Soaking finger tips in very warm water for 5-10 minutes will work just as well. Push cuticles: Using a handle of a cuticle trimmer, or a cuticle pusher, scrape the cuticles back off the nail to the nail bed where the finger nails start growing. This can hurt if cuticles are not soaked long enough. If pushing the cuticles hurt, then either soak your fingertips in warm water for long periods of time or apply moisturizing lotion to let it absorb before pushing again. Trim cuticles: Using a cuticle cutter, snip off the cuticles and push up to the edge of the nail. It is best to use stainless steel cutters. Stainless steel cuticle cutters do not cut jagged or damage nails. Trim small pieces of cuticles and make sure not to cut deep. Cuticles should not bleed. Clean up the nail bed: Use the tip of the cuticle cutter to scrape around the edges of the nail and remove the dead skin. This will give your nail a clean and finished look. After using a cuticle cutter, moisturize it properly. Apply hydrating creams or olive oil many times a day to keep cuticles healthy. While it is true that overgrown cuticles are unsightly and can interfere with nail growth, over trimming can lead to a greater problem. During manicuring, it is recommended to instruct the professional manicurist not to cut the cuticles. It is true that manicuring provides a lot of moisturizing and can help keep the cuticles healthy. Some products like silk wraps and acrylic nails can contribute to dry and cracking cuticles, if used too frequently. The cuticles can be pushed back gently by an instrument called 'orange stick'. This has to be done gently, taking care not to break the cuticles or push them back too far. Any material remaining on the nail must be cleaned off before finishing the job with a moisturizer. 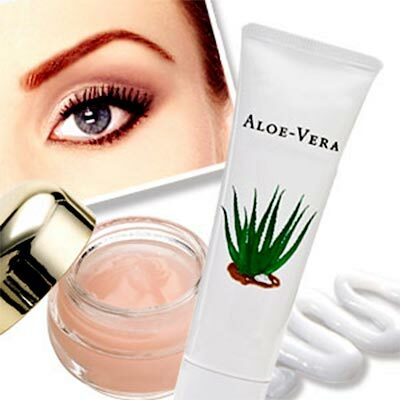 A cuticle cream is different from any other hand creams and moisturizers. Cuticle creams can help even broken cuticles regain Cuticle infection is a serious issue and can worsen if not treated on time. Cuticle creams help moisten the cuticles and nails. Some cuticle creams contain healthy fruits and heal health gels. Cuticle cream also contains healthy skin nourishing vitamins and vitamin E and C. These vitamins can act as a natural product shield against external damage to the cuticle. Most cuticle creams s contain mineral oil combined with natural skin care products such as lanolin, beeswax, honey, almond oil, chamomile oil and calendula oil. Herbs such as lavender, sage, thyme, green tea rose oil, burdock and herbs are also used. Homemade cuticles cream are simple to make and can be made in a few minutes. Honey and lemon juice: Mix 2 teaspoons lemon juice and 1 teaspoon honey. Soak your fingers in it for about 15 minutes and then dry your hands. Lanolin and China clay: Mix 2 tablespoons China clay and 3 teaspoons of lanolin. Apply the paste on the cuticles before going to sleep. Glycerin and petroleum jelly: Mix 2 teaspoons Vaseline and few drops of glycerin. Apply this mixture on to the cuticles before going to sleep. Essential oils such as almond oil and olive oil work as super cuticle cream. Remember to use cuticle cream only on clean hands. Natural oils such as safflower, sweet almond and passion flower can be used as cuticle cream. Oils can penetrate the skin while creams only hydrate the surface of the skin. Rubbing a bit of jojoba oil and vitamin E directly into the nail cuticles several times a day can help. Saturate hands and cuticles with a cream or oil before bed time and slip on a pair of cotton gloves. Hands and nails will look marvelous in the morning. Cuticle pusher and nipper can be sterilized using an alcohol. Stone cuticle pushers are also available. Hold the tool at a slight angle and gently push back the dry skin of the cuticles toward the nail base. Remember to push back the cuticles along the sides of the nails as well. Drink several glasses of water a day to ensure that the skin is well hydrated. Eating a well balanced nutritious diet also promotes healthy skin and nails. First Published Date: 1 Aug 2011 Last modified Date: April 18 2019 This page may have been updated recently as new information is available or the content may have been edited for better readability.